Available now, TAITO Corporation (Main office: Shinjuku, Tokyo, President: Koichi Ishii, hereinafter TAITO) will distribute "Space Invaders" and "Arkanoid" for Facebook with “Instant Games” on Messenger and Facebook News Feed. Facebook is the most popular social networking site in the world, with over 1.7 billion users, and the Facebook Messenger app is used by over 1 billion people worldwide. Now, those billion-plus people will be able to play the classic games “Space Invaders” and “Arkanoid” on “Instant Games” on Messenger and Facebook News Feed anytime, anywhere. “Space Invaders” is widely considered to be the origin of all Japanese video game culture, and has been enshrined in the World Video Game Hall of Fame in New York’s The Strong National Museum of Play1. Upon its original release, “Arkanoid” was nothing less than a social phenomenon. Both have long been thought of as timeless, beloved classics by people all over the world, from their debuts in the 1970’s and 1980’s to present day. TAITO has brought its games to numerous platforms over the years. 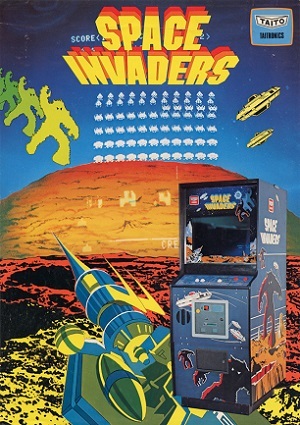 Now, with “Instant Games”, older players can relive the fun of the 70’s and 80’s, while newcomers can experience the charm and challenge of “Space Invaders” and “Arkanoid” for the first time. TAITO is dedicated to producing innovative, original games across all platforms, tailored to each platform’s inherit strengths. Be it smartphones, tablets, or something completely new, you can count on TAITO to keep evolving, and continue entertaining gamers around the world.